Waswanipi (Canada) (AFP) - Mandy Gull holds back tears as she steps off the helicopter in northern Quebec. "I've never seen anything so sad," says the young woman whose aboriginal tribe is seeing its ancestral lands eroded by logging. "If my grandfather knew," says the deputy leader of the Cree tribe, one of 11 indigenous ethnic groups present in Quebec. The flyover of the Boreal forest, pockmarked by clear-cuts, both saddens her and toughens her resolve to end deforestation in the region. "We don't own this land... as Cree, we know that we're stewards of the land, (and) we're here to protect the land," she said. Gull's tribal village of Waswanipi, about 1,000 kilometers (620 miles) north of Montreal, has been fighting for years to preserve some 13,000 square kilometers (5,000 square miles) of pristine forests in the Broadback river valley. Loggers have already cut swathes through 90 percent of adjacent lands. For the Cree, protecting the forest also means protecting the reindeer, moose and other wildlife being pushed further and further north by logging and climate change. The Cree grand chief signed an accord with the Quebec government in July to preserve 9,134 square kilometers of woodland caribou habitat along the 450-kilometer Broadback, which flows through the taiga to the Arctic. But Waswanipi trappers say the deal does too little to safeguard their land. They point out that half of the areas protected from logging under the accord were already off-limits to forestry firms. 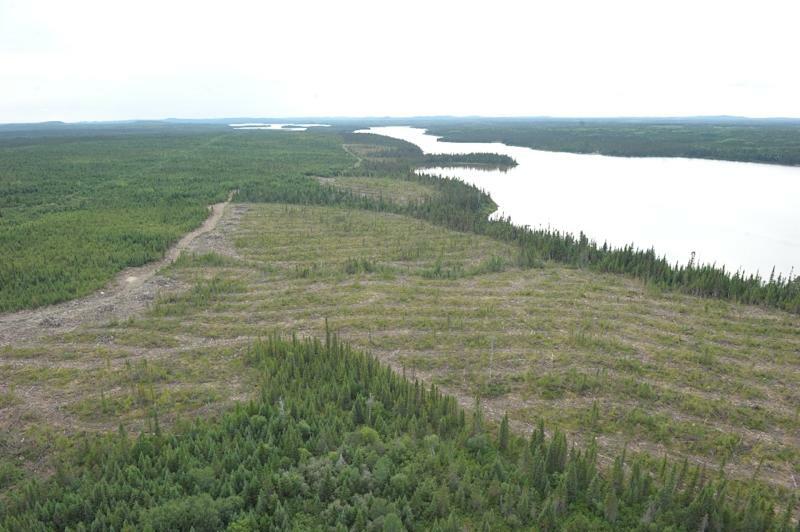 Since the government of Quebec unveiled a conservation plan for the north that paradoxically opened the door to more logging along the Broadback river, the town of Waswanipi has felt under siege. Forestry firm representatives have approached Don Saganash about his hunting lands in the area. "They came to talk to me about building a bridge because the river is narrower here, but the Broadback is not for sale," he said of the crystal clear river where sturgeon, pike and walleye swim. Seeing trucks loaded with logs drive by "is like getting stabbed in the gut," said the retired ambulance driver. "My father used to say: the land is not ours to sell. God provided us with the land to live in harmony with nature." The forest is at the heart of these northern peoples' identity. Newborns are baptized in ceremonies that include walking on pine needles and circling a conifer placed in front of a tipi. For generations, native hunters have kept a watch over this land, keeping tallies on the fauna and inspecting trap lines. Snowmobiles may have replaced dogs and sleds and boats with outboard motors displaced canoes, but many of the 16,000 Crees living in Quebec still uphold their nomadic ancestors' traditions, even though they were themselves forced to settle down four decades ago. At that time, the Quebec government started building massive hydro-electric dams in the north to supply cheap electricity to the province and northeastern US states. In exchange for supporting these projects, the Cree gained some political independence and significant funding. Quebec also recognized their historical hunting rights but the state maintained control of natural resources within its borders. 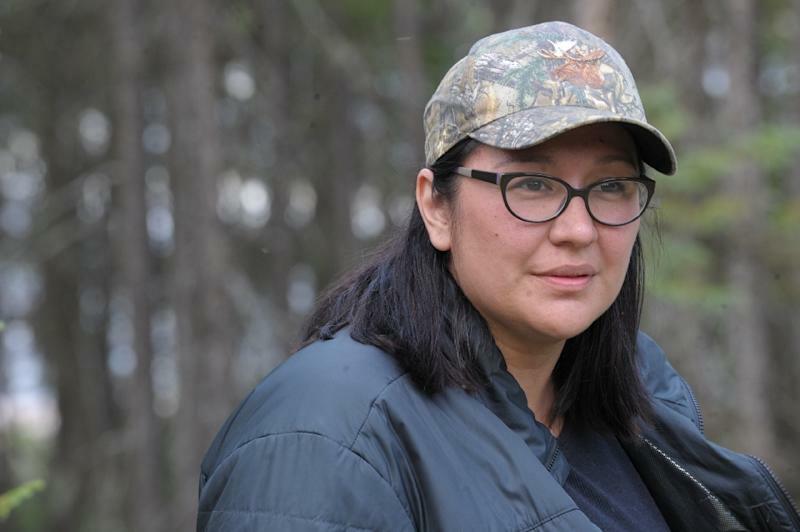 "The Quebec government does have the right to come here and extract these resources, but these aren't just resources, it's a way of life," said Mandy Gull. From a climate perspective, "the Boreal forest cover is essential for everybody," she added. To help them in their fight against forestry firms, the Cree recruited Greenpeace, which on this late August day deployed a massive banner in the outback, legible from the sky that reads: "Save the Broadback!" 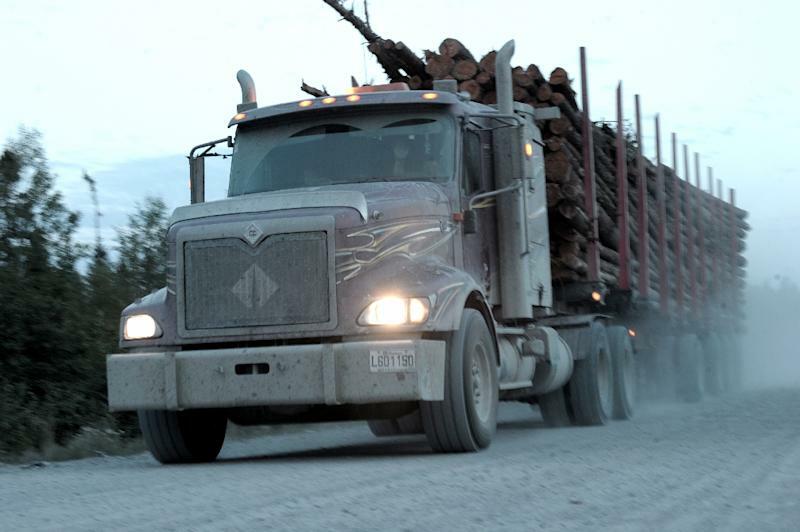 Greenpeace's activism, however, has angered the Quebec government and it is embroiled in litigation with forestry giant Resolu Forest Products that alleges it was defamed by the group. The company is seeking Can$7 million in damages. The feud led one of Europe's largest publishers Axel Springer in late August to stop buying paper produced in Quebec, saying it no longer felt comfortable supporting a forestry firm that is battling aboriginals and environmental activists. Hoping to increase pressure on other pulp and paper buyers, Greenpeace invited foreign journalists to tour the forest to see the impact of logging firsthand. "Few people in Quebec have ever laid eyes on such pristine forestland, it is truly something very rare indeed," said Greenpeace biologist Nicolas Mainville. "We have to take a strong stand when it comes to protecting the forest from a company that wants to build a bridge over this river to get to the other side and cut down one of the last virgin forests in Quebec." Don Saganash long struggled alone to safeguard his ancestral lands, but now he stands supported by several aboriginal groups. And he has vowed to "fight to the death" to protect his lands from logging.